"I spend all day thinking of shopping. I love the thrill of finding that wonderful, perfect thing, the feeling of your heart racing because it's so right." Okay, Mindy Grossman might be a little over the top with this sentiment, but I do relate. 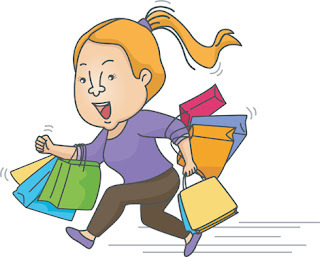 If given the option of doing just about anything, or go shopping, I will most probably choose the latter. Especially when it comes to fashion. Not the stereotypical footwear; I'd rather be barefoot. But when it comes to clothes, and to an extent earrings, I can't have enough. By now, my hubby has arrived at eye-rolling acceptance of the over-stuffed closet, while friends and family are well aware that when they see me, it's likely I'll be wearing something new. Perhaps it can be blamed on genetics. My mother probably added a new item to her wardrobe on a weekly basis. My father always teased that she had nothing to wear and three closets to put it in. Oddly, this habit is a contradiction of self perception. I don't like to consider myself materialistic. I came of age when peers were shucking off unnecessary accoutrements in a fight against the establishment. Young people decked out in bell bottoms and tie-dye, bare feet or moccasins were moving to communal farms with vegetable gardens and free roaming chickens. Or to city streets, living in lodgings with mattresses on the floor as the only furniture. Focus then was not on what was owned but on what could be done with a simple life. So, occasionally, as that one more sweater is being purchased, there's a moment of chagrin, a momentary nostalgia for the girl I was. But then comes recognition that some values remain. Clothes admittedly are my weakness. There's something about putting on a new outfit that makes me happy. However, I'm not compelled to have the best of everything, to acquire stuff because my neighbour has it. Let's be honest, we all like new things. The freshness, the uniqueness, the novelty can be irresistible. All good reasons why updating the content on our websites is as important to us as it is to people seeking out images for their personal or business projects. We know that new has great appeal and offers opportunities to for innovative design. Humidity hangs while the temperature soars. The dog days of summer have made an early appearance this year and let me tell you those dogs aren't just panting, they're thirsty as heck. While the common phrase actually references the position of the dog star Sirius in late July, it has come to conjure images of lazy dogs lying beneath shady maples during summer's hottest time. This year, if our canine friends are hiding from the heat, they're not alone. We've experienced weeks of intense temperatures, made more so by a cloying mugginess. ACs are blasting and everyone's searching out cool places. Not complaining, of course. Winter's a very long time so we'll take all of July's personality and love her for it. There is, however, one little problem. As hinted above there's been a shortage of water. 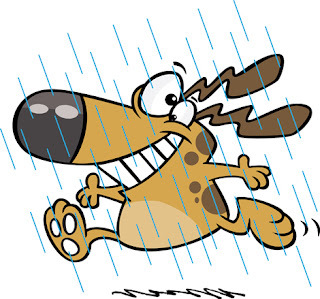 While it's great to be able to head to the backyard or beach without worrying about a deluge raining down around you, farmers' fields, our lawns and gardens are crying for moisture. Given the number of decades I've been present on this earth, it's likely there have been other dry summers experienced in my life. I don't, though, recall them. Thus, as I rejoice in the endless days of sunshine, the level of concern increases. Heading out on yet another evening to water my plants and flowers, rock hard ground beneath my feet, grass crunching with every step, worry about how much longer this can go on does take up space in my thoughts. We've been able to use water from the rain barrel to keep the flowers fresh. But showers have teased us with their infrequency and limited accumulation so that source will soon be dry. One can only assume that local government will eventually issue a total water ban, meaning as the barrel empties all other options will be removed. Mother Nature has shown us time and again who's in control here. Mere mortals can't change what she throws our way. We can send out our prayers to the universe or try a little raindance. However, precipitation will only come when she's good and ready to bring it. At least in the natural world. Creatively, we can inspire some rainfall magic through Photoshop with the great tutorials listed below. Who knows, maybe the skies above will take the hint. "The starting point of all achievement is desire." — Napoleon Hill. 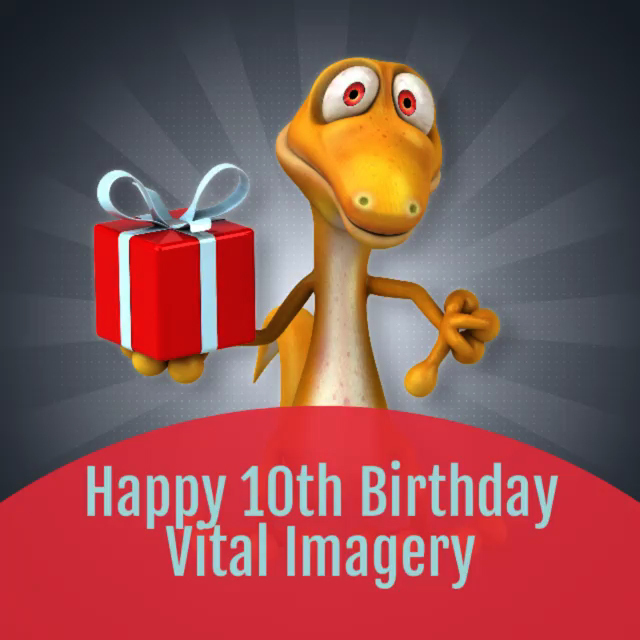 It's time to sing Happy Birthday to Vital Imagery Ltd. (VI) and celebrate its achievements. Ten years ago, this online subscription graphics service began offering customers quality photos, illustrations and more for use in business and personal projects. The company was the vision of a young, energetic team comprised of people with extensive knowledge of, and experience in, the industry. Their desire to provide clients with a new exciting option for images inspired the dream. The dream drove the inspiration. And the inspiration achieved the goal. I had the pleasure of coming on board several years ago. It was a heady time for the still-relatively youthful company as new initiatives and partnerships were helping forge what would soon be its future as a global leader in the industry. My desire to be part of this was certainly inspired by that potential. However, it was the personality of the business that really appealed. Having come from a work environment where the employees came last, what a delight it was to find a workplace where the health and happiness of the staff were always the priorities. That this could be done while continuing to expand and grow proves it's the best way to get the job done. And as VI celebrates 10 years of success, there's plenty about the job that's been done to be proud of. With a dedication to keeping their websites fresh, content managers are busy adding thousands of new images each month. There is now an incredible inventory of 13 million images on Clipart.com , while iCLIPART.com has an impressive collection of 8 million and iPHOTOS.com has 5 million. The number one 3D animation subscription site, AnimationFactory.com with over 600,000 images is also part of the VI family of websites. As well, educators from around the world use content in resources and the classroom from two school sites — iCLIPART For Schools and Clipart.com School Edition . As the stock imagery price leader, there is pride in the history behind the company, the philosophy that drove it and the contributors and customers who have helped to build it. From my perspective I feel pretty darn lucky to work for a company that cares about people. Customer service is a priority. And by donating a portion of every purchase made to Kiva.org VI supports small business worldwide. So Happy Birthday, Vital Imagery Ltd. Here's to a job well done and much continued success in the future. And thank you for bringing me along for the ride.